The creative team at KSFH, brings us a collection of styles for Spring & Summer of 2009 with a definite air of femininity and glam sensibility. 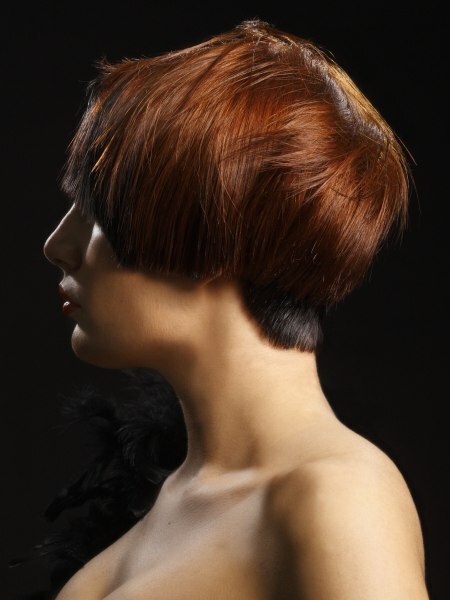 The cuts feature undercutting and overcutting to increase the volume in the top of the hairstyles and mix hard lines and edges with soft texturing and layers. Most of the lines are curved and the predominant silhouettes show extra weight in the upper areas of the styles. The photos show three main haircuts from different angles and with slight modification in some cases. Let's take a look at the pairings!